The next meeting of the Ulysses reading group is on Sunday 8th of March, 7.30pm in Muir Court. We are reading episode five, the Lotus Eaters. Mr. Bloom visits the public baths, a necessary institution in the first part of the 20th century. 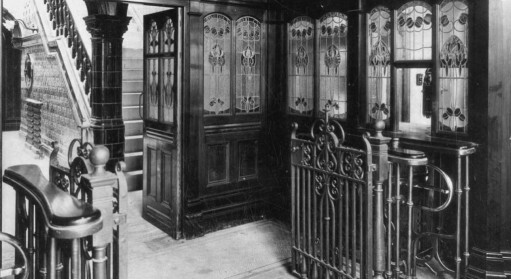 This is the entrance (male, first class) to the Victoria Baths in Manchester.